Gebr. Müller Apparatebau GmbH & Co. KG, or GEMÜ for short, has added an "eco" series to its range – more specifically, an eco version of its GEMÜ 1436 cPos® positioners. The GEMÜ 1436 cPos® positioner has been successfully used for many years for a wide variety of applications. The various configuration options offer users a high level of flexibility. The positioner can also be adapted for use with third-party actuators. The SpeedAP function can be used to make initialisation and commissioning easier, whatever the valve type. 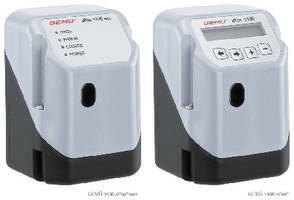 The new GEMÜ 1436 cPos® eco series offers customers the same highly reliable technology as the standard series. By reducing the scope of its performance as well as its range of functions, GEMÜ has been able to significantly pare down the power electronics, resulting in an impressive price reduction of over 30%. The "eco" series was developed in response to the requirements of customers who have no need for the full range of functions and adjustment facilities. Today, the GEMÜ Group employs over 800 employees in Germany and more than 1500 worldwide. Manufacturing is carried out at six manufacturing sites in Germany, Switzerland, China, Brazil, France and the USA. From Germany we coordinate global marketing with 26 subsidiaries and with a large distributor network in more than 50 countries, the GEMÜ Group is active on all five continents. GEMÜ will continue to establish itself in future markets with its international growth strategy. GEMÃœ's Conexo System comes with cloud connection. 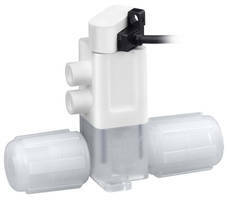 Compact Block Valve offers 2.0 Lpm flow capability.